Just want to say I absolutely love this office and everyone in it, especially Dr. Maggie Chalson  I Thank you for being you as a person and pediatrician. You are wonderful with my children and I never feel judged. I always feel comfortable having my children in your care! You’re everything a doctor should be! Can’t say enough wonderful things about the doctors and staff at this practice. Very nurturing, attentive, responsive, knowledgeable and great bedside manner! I would travel miles just to make sure my daughter gets the best care that she receives here! THANK YOU for welcoming our family into your practice. THANK YOU for your unconditional love, guidance, and support. As new parents we are filled with questions and wonders. THANK YOU for ALWAYS giving us information and pointing us in the right direction, without judgement. We look forward to a lifetime of watching Ryan grow and thrive under your care. Hello. I want to take a minute to thank Dr. Read for her patience, sense of humor, and empathy during my son’s three year old checkup today. He gave new meaning to the term ” really terrible threes” and was as uncooperative as a three year old who doesn’t want a check up could be. Dr. Read’s kindness and patience enabled us to get through his appointment and also helped to keep me, the frazzled mommy, calm as well. Thank you so very much, Dr. Rosie Matura Read! I can’t say enough good things about this office! NEW, CLEAN and the doctors are great! Switching from a single doctor practice to a multiple doctor practice was the best decision for us! I like them all and have seen them all- although you do have an option to choose. On Thanksgiving my daughter woke up with a terrible cough and I was nervous that the office wouldn’t be open. I messaged them and someone responded almost immediately informing me that Dr. Goldstein would be in and just to call and leave a message for when they got in!! I’m so happy I made the change! I just wanted to take a second to say thank you because the doctors at PHA recommended a terrific ophthalmologist for Lucas after he failed his eye exam. He has some issues that left untreated could have led to some serious complications. He started wearing glasses this week and we can already notice a change in his behavior, focus and curiosity. We couldn’t be more grateful for being able to catch this so early (he is 8 months this weekend). Wishing you and your families a wonderful Thanksgiving. Reply – I am so glad our system of preventive care worked for you. Being able to test an infant’s eyes at 6 months of age is truly a great thing. If you waited until your child showed difficulty seeing, the end result would likely not be as good. Lucas must look so cute in those glasses! Thank you so very much for your compassion, empathy, and amazing bedside manner at my daughter’s well visit today. Your time speaking with me beforehand is so appreciated as well. My daughter had such a positive experience in your office today and I believe most, if not all, of her anxiety related to coming to the office has faded. She is amazing. We have been with that practice since my kids were born and now that my girls are 15 & 19 they see her exclusively for all of their well checkups. There are 8 or so doctors in the practice, is she the only one on your insurance? They are all wonderful, and besides Dr. Chalson we especially love Drs. Goldstein and Samuel. Love her! Both my children were preemies and she would call the NICU weekly to check in on them. We love her!! Can’t say enough good things. We have been with her since our daughter was born. She has guided us so well through every step of early parenthood and we trust her completely! She is amazing. My kids ASK to go to the dr when they don’t feel well so they can see her. She’s absolutely wonderful! Can’t say enough good things about the whole practice. I have to share how happy I am Dr. Kerry Fierstein! 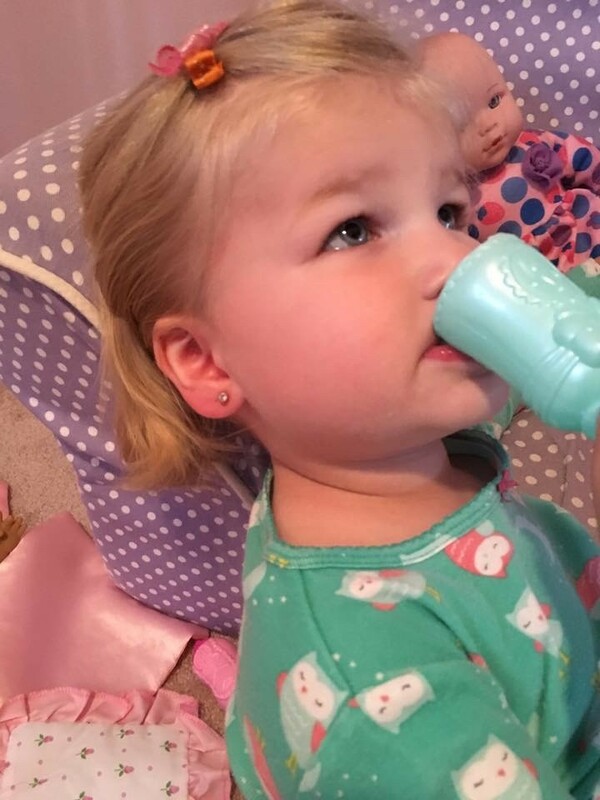 What an amazing job you and your staff did with piercing my little girl’s ears today. The whole process was so smooth and mostly pain free. Thank you!! Kerry Fierstein also, this is the first time I’ve needed to contact you this way via Facebook. Thank you SO MUCH for setting this feature up. A lifesaver when our children are sick and even more so when they’re utterly miserable! ❤️❤️❤️. And with Dr. Chalson calling me back-you guys truly are the best!! Thank you so much Dr. Maggie Chalson for piercing Lily’s ears this afternoon. I can’t believe she sat so well and there were no tears. She was so excited to show her Daddy when we got home. You guys are the best! I can’t stress enough how many times MaryLou has gone out of her way for me. She saved my miserable infant yesterday. I can’t imagine her ever being “bored” at the office so I know she had to have stopped what she was doing to “please” me. Thanks to her, I received 4 out of 8 INSANELY IMPOSSIBLE TO GET prescribed infant formula cans. If she threatens to leave or retire, I will be the first one on their hands and knees BEGGING her to stay !!!! Thank you for treating me like a family member. I wish you could be MY doctors !!!! Just got back..I was able to exchange with no issues. Thank you so much for helping me out with this so late. You truly are the best and always there for your patients!!!!! Thank you so much!!! I find you and your incredible staff of doctors and nurses and office staff amazing. Facebook is also amazing and invaluable. Thank you so much for your time. Thanks for hosting (the sleep lecture)! It was great to learn and also bond with other parents going through very similar things that we are. Besides the knowledge it brought an extra level of comfort! Copyright 2015 Pediatric Health Associates, All rights reserved.